Thank you so much Quercus for providing my free copy – all opinions are my own. Sophie Duguet–young, successful, and happily married–thought at first she was becoming absentminded when she started misplacing her mail and forgetting where she’d parked her car the night before. But then, as her husband and colleagues pointed out with increasing frustration, she began forgetting things she’d said and done, too. And when she was detained by the police for shoplifting, a crime she didn’t remember committing, the confusion and blackouts that had begun to plague her took on a more sinister cast. Her marriage started to come apart at the seams. Now Sophie is in much deeper water: the young boy she nannies is dead while in her care, a tragedy of which she has no memory. Afraid for her sanity and of what the police will do to her when the body is discovered, Sophie goes on the run, changing her identity and appearance to evade the law. Forced to lead a very different kind of life, one on the margins of society, Sophie wonders where everything went wrong. Still, with a new name and a new life, she hopes that she’ll be able to put her demons to rest for good. It soon becomes clear, however, that the real nightmare has only just begun . . .
Sophie Duguet is an au pair for a six-year-old boy, who she discovers dead while in her care. She is frantic and scattered as she flees from the scene. She has a history of blackouts and doesn’t remember bits and pieces of her life. She empties her bank account, changes her appearance and identity. And that’s just the beginning! The book starts out from Sophie’s perspective and she is one neurotic character! As you’re reading this frantic woman’s dialogue, you are quite literally in her head. It’s nerve racking, but at the same time so much fun! Lemaitre’s writing style is like none I’ve ever seen before. As I was reading, I actually said out loud to myself “this is seriously cool”. I can’t really explain further without giving away spoilers, but let’s just say you find out details exactly when the author wants you to. It’s all planned out perfectly! What’s that saying…the devil is in the details? Yes it is! 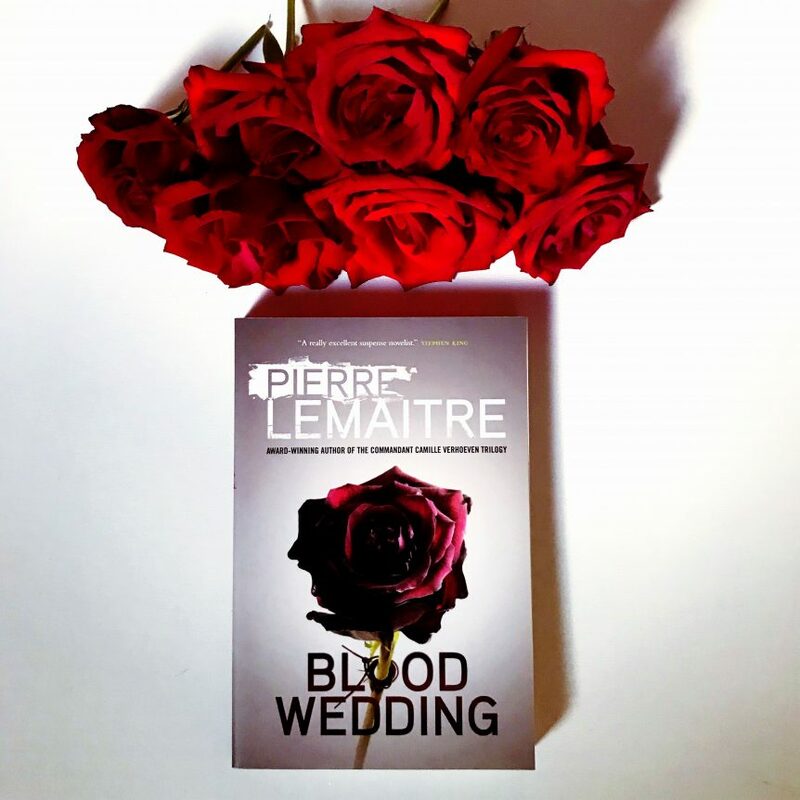 BLOOD WEDDING is sinister, intelligent, enigmatic, ingenious, fiendish, and flat out BRILLIANT! I most certainly recommend it to all of my thriller-loving friends and I will absolutely run, not walk, to the bookstore to pick up another one of Lemaitre’s books!